This post will covers the steps to install phpMyAdmin to operate MySQL from Web browser. 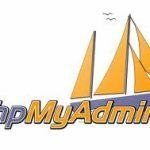 phpMyAdmin is a free software tool written in PHP intended to handle the administration of MySQL over the World Wide Web. It can manage a whole MySQL server (needs a super-user) as well as a single database. phpMyAdmin supports a wide range of operations with MySQL. The most frequently used operations are supported by the user interface (managing databases, tables, fields, relations, indexes, users, permissions, etc), while you still have the ability to directly execute any SQL statement. phpMyAdmin is a free and open source tool written in PHP intended to handle the administration of MySQL with the use of a Web browser. It is a tools that giving users the ability to interact with their MySQL databases to perform the task such as creating, modifying or drop databases, executing SQL statements, managing users and set permissions. This post will show you the steps on how to setup phpMyAdmin 3.5.1 on CentOS 6.2 using remi repository.